Ever since he began driving at the age of 16, Pat Tucker had a love for cars. He turned his love into a hobby and paid his way through college by purchasing cars that needed some work. He would drive them for a few months and then would spend time flipping them. Within a few short years, Pat made enough money to pay cash for his first brand new car. He says, "It feels like the only way I could really afford a certain car was if I paid cash; otherwise I felt that the car was beyond my means." 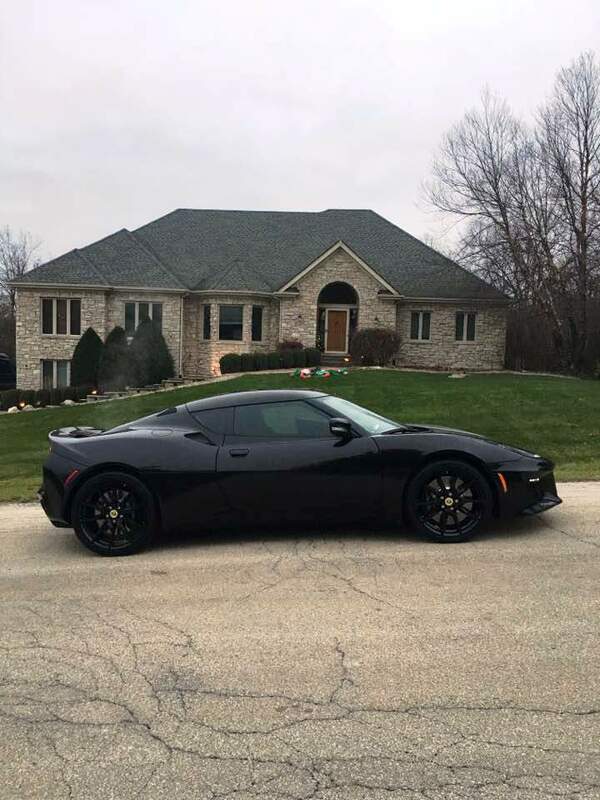 Decades later and after owning roughly 74 cars during his lifetime, he is still true to his old school mentality, as he recently purchased a new 2017 Lotus Evora 400 and paid in cash. Pat struck up a friendship with Ian Grunes, who is the owner of Rossion Motors and the sole distributor of Noble Cars in the U.S. From our relationship with Rossion, being the midwest Authorized Rossion Dealership, Ian mentioned Gator Motorsport as being the closest Dealer to Pat to help him with any needs for his Noble. Pat spent some time looking into Gator and realized that we are also a Lotus Dealer. It was then that Pat saw the new 2017 Lotus Evora 400 listed on our website and he described it as "love at first sight". The Evora 400 was everything that his Noble was, but was a bit more suited to his lifestyle. "It is a sports car and luxury vehicle at the same time." "I made a visit to the Dealership, and received a royal welcome and grand tour of the "You can eat off the floor" facility. I greatly enjoyed seeing Gator's delightful collection of beautiful cars. "I worked with Brian from day one and he was fantastic. He and I struck a deal and within a few short weeks, I had a new beautiful Evora 400 delivered to my door. Everything was completely easy and honest with numbers, paperwork, delivery, etc. There was absolutely no usual car salesman tactics or game playing. I look at Brian as a friend now rather than a car salesman." "I'm treating it like I did my Noble. It comes out of the garage on sunny days that provide completely dry weather and dry roads. I am enjoying the sports car performance as well as the luxury car comforts such as complete leather interior, cruise control, and a killer stereo system with XM/Sirius Radio. I smile every time I go into my garage!" From everyone at Gator Motorsport, thank you Pat for your purchase and kind words about Gator! We are thrilled to have the new friendship and we hope you enjoy your car for years to come!